There’s more to Easter than an Easter egg hunt when it comes to keeping kids amused. 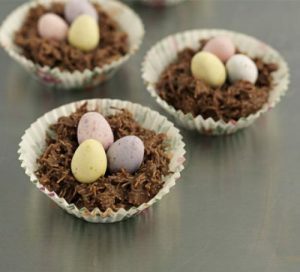 Try this Easter Shredded wheat nests to keep the kids occupied during Easter. A spin on traditional chocolate cornflake cakes, this version uses extra-fine strands of wheat for great texture. This is an easy recipe that kids can join, read more about cooking with kids from our website.